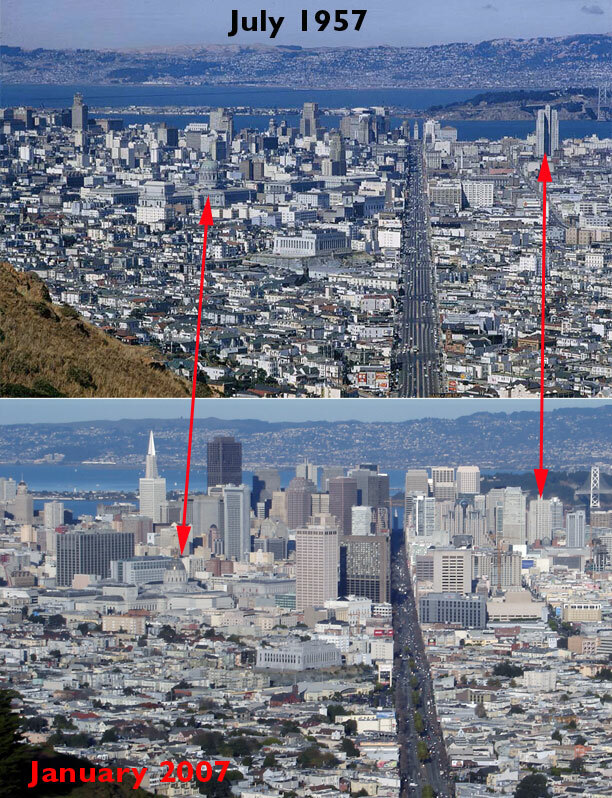 The view from Twin Peaks is world famous. 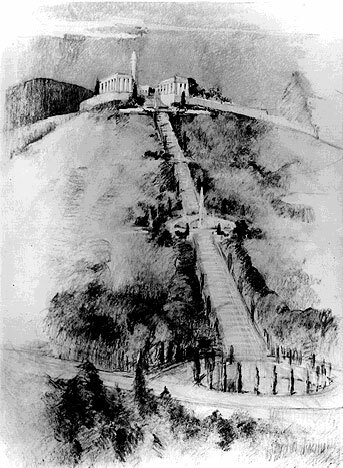 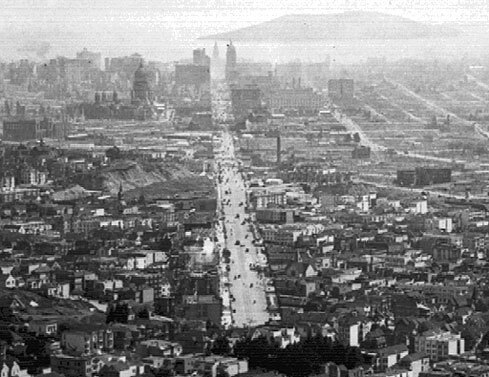 Under the Burnham Plan of 1905 a straight boulevard would have ascended all the way to the top, but after the earthquake of 1906, the Burnham Plan was buried by events. 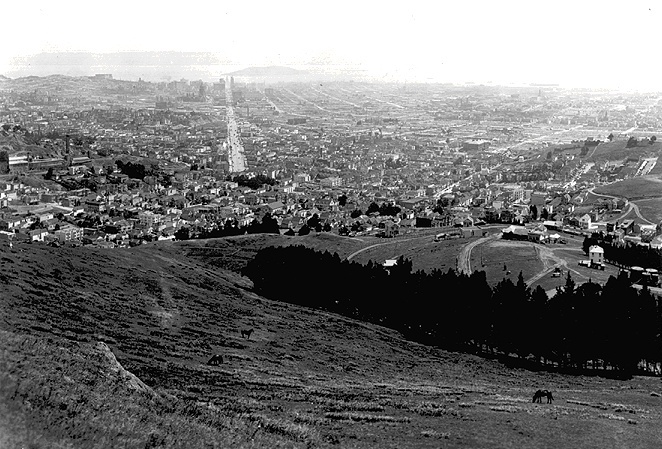 The famous view from Twin Peaks, here in 1906 a month after the big earthquake. 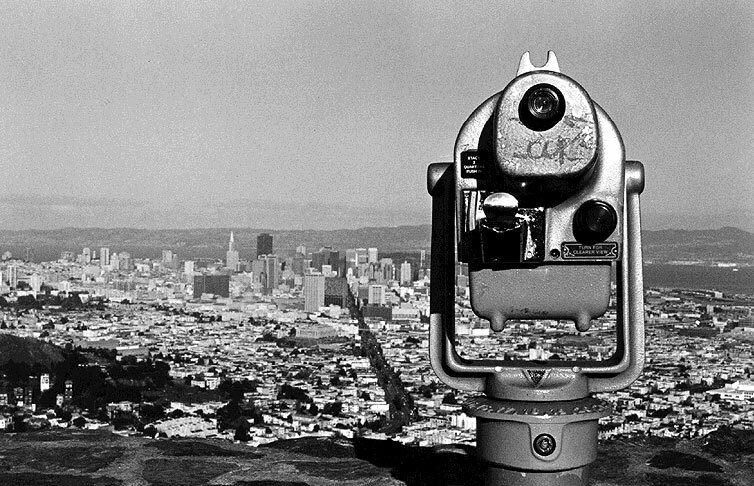 Classic tourist view of city from Twin Peaks, 1998. 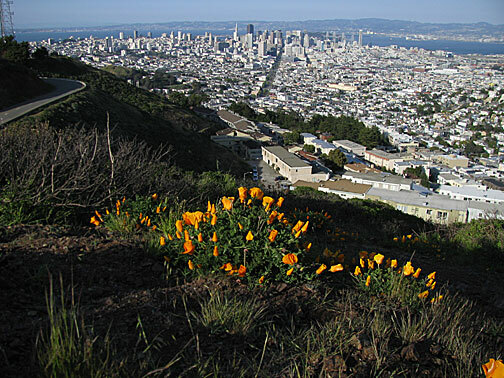 View from south peak of Twin Peaks, April 2008, with California poppies in foreground. 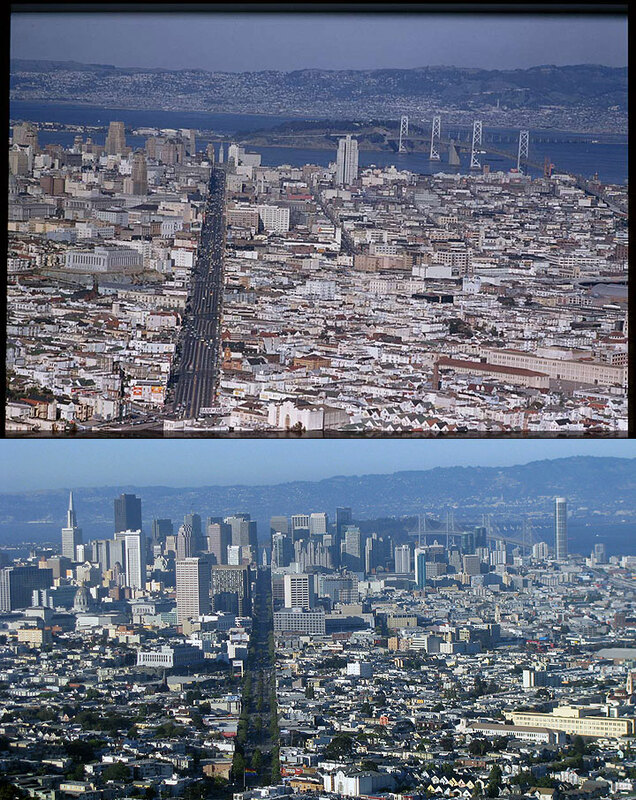 top: March 5, 1955; bottom: July 6, 2009.